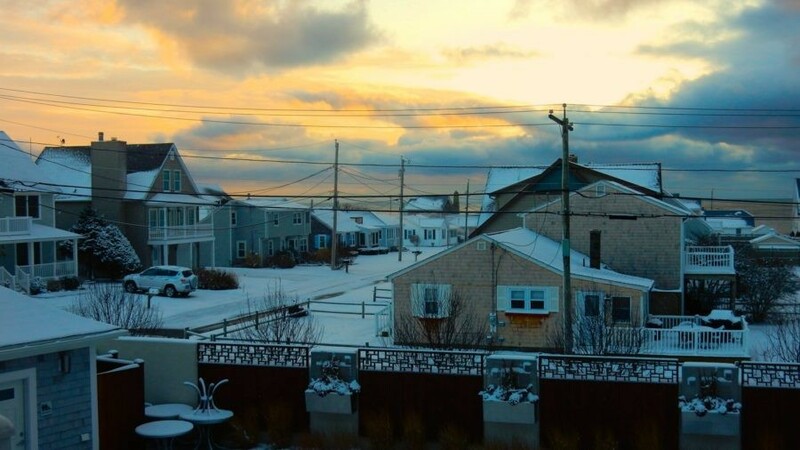 WHY GO: Those who believe that New England beach resort towns are dead in the wintertime must visit Narragansett RI – a popular Atlantic Ocean beach community – in the coldest months. 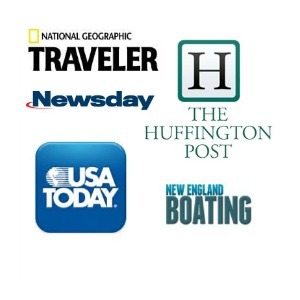 For starters, January is the best month for surfing (who knew? ), down-filled outerwear is made for brisk strolls on snow-covered sand, favorite restaurants still buzz with happy eaters, shops are open, and best of all, rates at the coolest new boutique hotel are satisfyingly low. 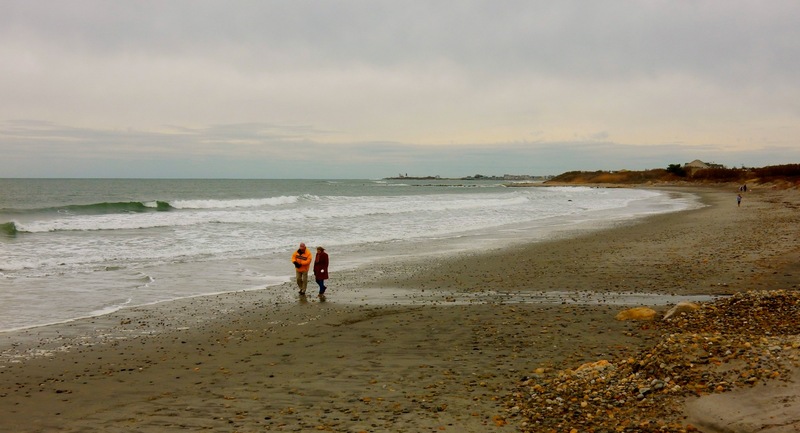 So plan a day or two, “chill out,” and beat the summer crowds in Narragansett RI. DO: Surf at Narragansett Town Beach. So, temps are in the 20’s and snow flurries dance in the wind. That won’t stop the hardy surfers who don full body (and head) wetsuits in order to catch that 7 ft. wave. It’s not Hawaii or California, that’s for sure, but this East Coast version of Hanging Ten proves that nothing will stop a surfing fiend. DO: Walk on Scarborough Beach. It might be brisk, but it’s still beautiful. And you will be far from alone. DO: Drive Ocean Road. From The Break Hotel (see below), it’s a good ten-minute drive up the coast to Narragansett Town Beach. 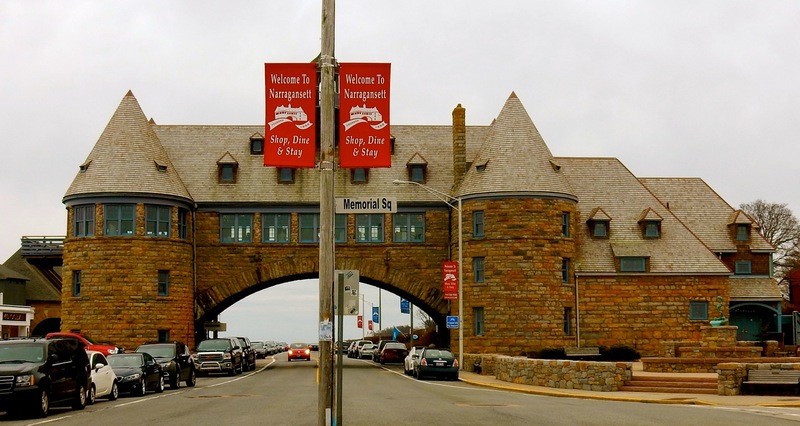 You’ll pass other public beaches and oceanfront estates, before driving under the arches between the town’s defining landmark, The Towers – the remaining section of a Gilded Age Casino designed by McKim, Mead and White, that burned down in 1900. 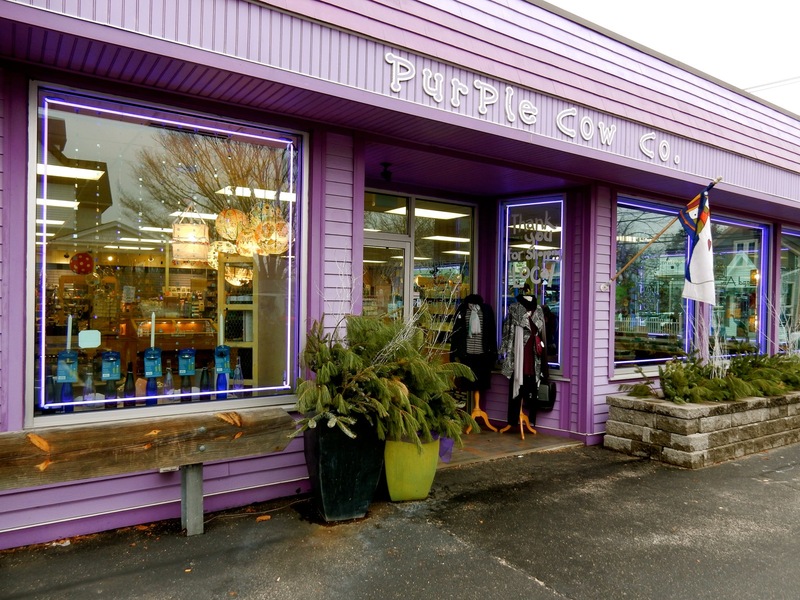 Purple Cow – for unique clothing, jewelry and gifts. 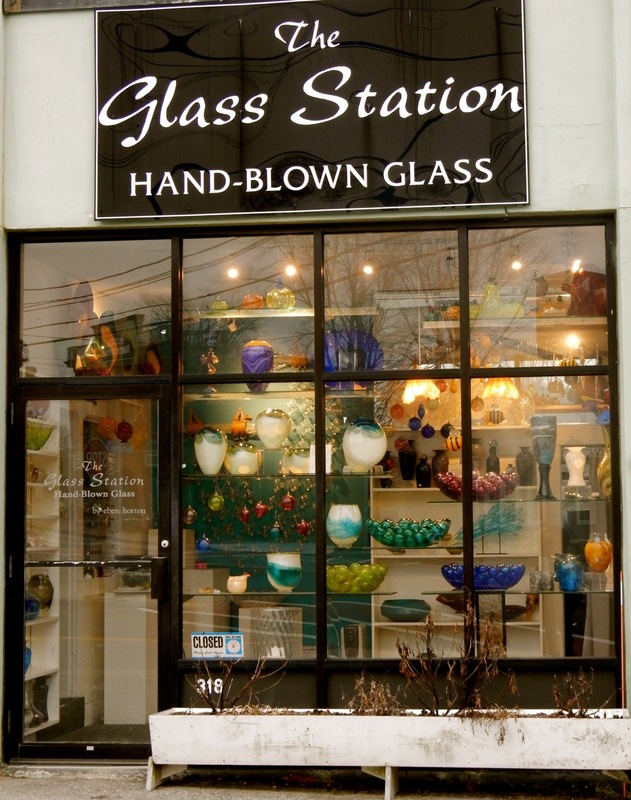 The Glass Station – artisanal glass pieces in a old repurposed gas station. EAT: Coast Guard House. Almost attached to The Towers, adjacent to the Town Beach, this iconic eatery set in an 1800’s Life Saving Station, has been serving up good salads, burgers, seafood and steaks with straight-on ocean and beach views since 1949. 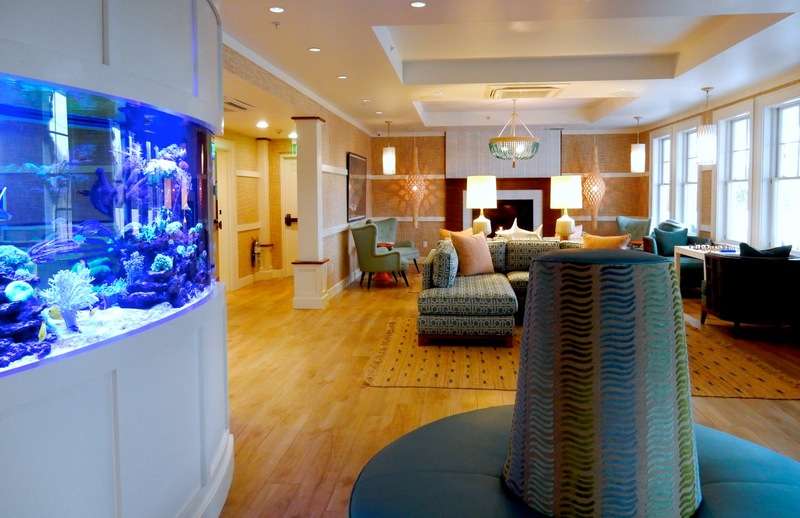 A few years ago, Hurricane Sandy nearly demolished the building, but after a vast renovation, it’s come back stronger (and prettier) than ever. EAT: Chair 5, in the new boutique hotel, The Break (see below). This marine-hued in-house restaurant is fast becoming a destination unto itself. Private and communal tables (one, in the shape of a surfboard), beneath a carpeted ceiling and lovely blown-glass lamps, promote communication and sharing. Helmed by Chef Basil Yu (formerly chef de cuisine at the celebrated Muse Restaurant in Newport RI) dishes, like the Funnel Clam Cake ($7), are innovative tweaks on traditional American fare. STAY: The Break Hotel. This cleverly designed, highly service oriented 16 room hotel has been winning raves from guests since it opened in 2015. Best of all, rates are low for what you get. Read the complete Mavens Review HERE. Rooms and Suites from $179 to $589 (depending on room size and season) include afternoon treats, water bottles, and large “tapas” style gourmet breakfast.